Because the MICE sector is an important and significant segment in the country, the Thai Tourism Authority works closely with the Thailand Convention & Exhibition Bureau (TCEB) to promote events and incentive trips, as "business travellers are also tourists, in a way". It was Chattan Kunjara Na Ayudhya, responsible for the Tourism Authority of Thailand's International Marketing, who said it. 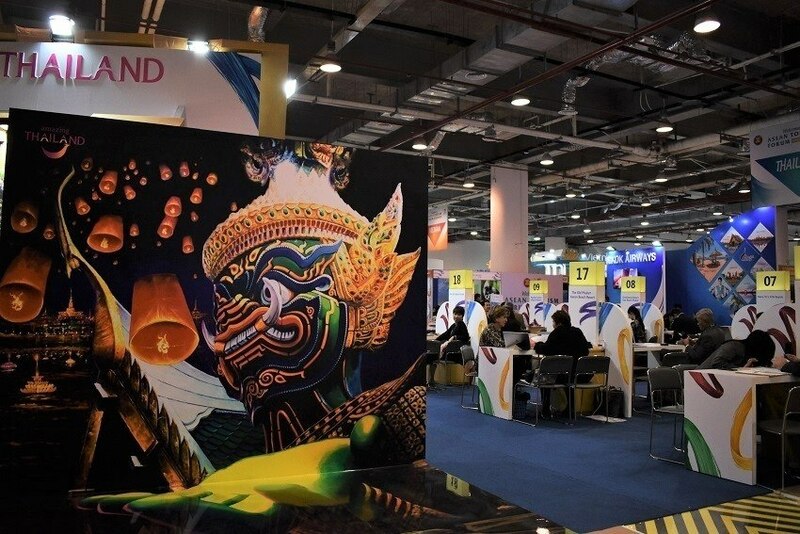 "The MICE industry is a large part of Thailand's tourism," he said. "It's a segment worth pursuing". And so they work with TCEB, giving the necessary assistance in promoting corporate events. "We have to work more closely with professionals in the MICE sector because we are all going in the same direction. But if there could be any synergy to capture that market, the better. We can offer a promotion before travellers arrive. For example, do not come to Thailand just for business, but also for leisure. And if you do not have a lot of time there are tours that can be done in the city you are in... We tried to work with TCEB and MICE operators in this regard," he told Event Point at the end of his presentation at the ASEAN Tourism Forum 2019, which ran from 14th to 18th January in Ha Long, Vietnam. Thailand is a world-class destination and so it is not surprising that the ASEAN Association of South Asian Nations receives the largest number of tourists: 38 million visitors in 2018, up 7% from the previous year. To expand the market and stimulate the economy in rural areas, the Thai Tourism Authority is promoting 55 secondary destinations, having launched a promotional video entitled Hidden Shades of Amazing Thailand at the end of last year. Promoting lesser-known destinations is also a way to distribute tourism revenue more evenly and to distribute tourists themselves in the high season. But first it is important to check these secondary destinations, to know if they are prepared to be promoted and, consequently, to receive a greater influx of tourists. Thailand is thus promoting more experiences. All it takes is to be available to receive them. "If people who visit Thailand are open to new experiences they can find things they were not expecting," Chattan Kunjara Na Ayudhya noted. In addition, the country also promotes a destination combo with the "Experience Thailand and more" between Thailand, Cambodia and Myanmar - ASEAN destinations that are grateful for what this collaboration does for their tourism development.